Nigigoonsimnikaaning First Nation – As a result of dozens of residential fires in Indigenous Communities that have killed nearly 60 people in just over a decade. Six Nations Fire Chief Matthew Miller (who is also the president of the Ontario Native Fire Fighters Society) raised concerns about the adequacy of First Nations fire protection levels. Many First Nations communities have a great need for fire apparatus, but no funding to acquire them. 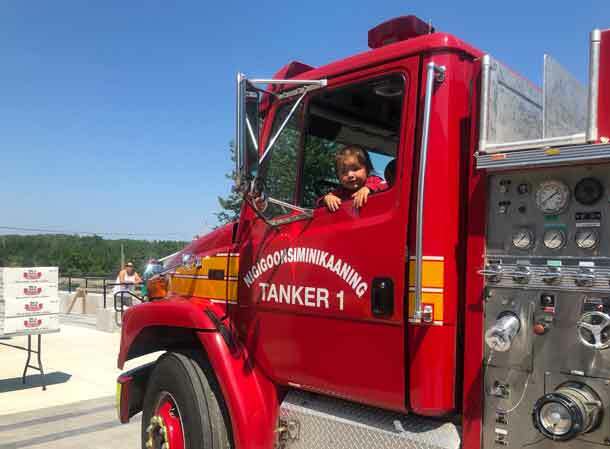 To help address this, the Hamilton Fire Department reached out to the Office of the Ontario Fire Marshal, who oversees the Northern Ontario Fire Protection Program about the possibility of donating two surplus fire trucks to benefit First Nation communities. 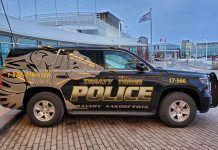 The Hamilton Fire Department also worked closely with the Senior Project Manager of the City of Hamilton’s Urban Indigenous Strategy. A 1997 Freightliner 3 – person, commercial cab vehicle with a 1,350 gallon water tank and a 420 gallon per minute pump was delivered to Nigigoonsiminikaaning First Nation after taking a trip to Winnipeg Manitoba by CNRail from Hamilton to Winnipeg and Fort Garry Fire Truck assisted with maintenance and parts for the Fire Truck to be delivered on time. 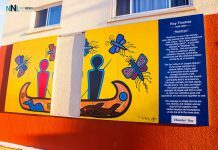 The Nigigoonsiminikaaning First Nation is an Anishinaabe community, meaning “Where the Otters Play.” It is located in Treaty #3 Nation, Northwestern Ontario, approximately 40 kms east of Fort Frances. 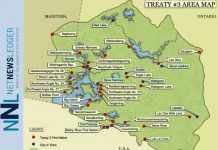 The community has a total population of 372 citizens and is a member of the Grand Council of Treaty #3. The governance of Nigigoonsiminikaaning First Nation is made up of the Chief and three Councillors. Previous articleHow to get your Business out of Debt?